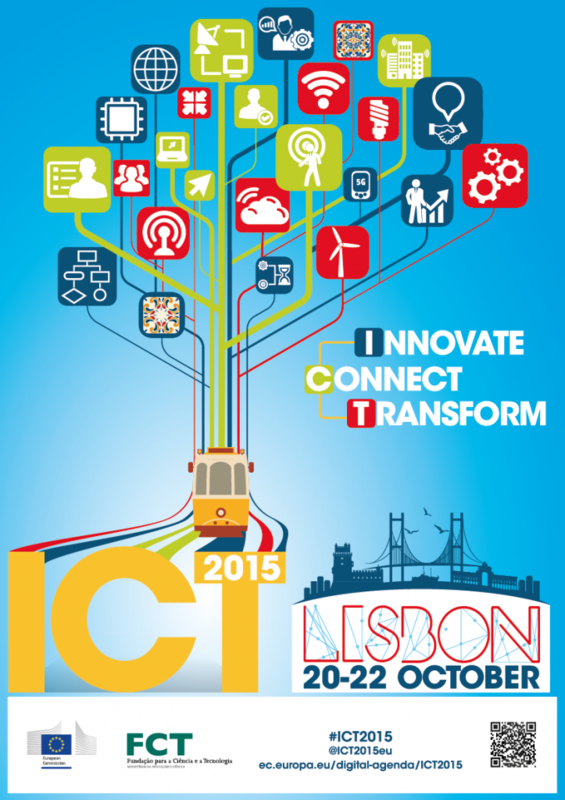 Meet us on Wednesday, 21 October 2015, in Room 5C, from 09:50 to 10:35 and join the new Content PPP ! The objective of the NEM Networking session is to present and promote the Immersive & Interactive Content Public Private Partnership Initiative being built. This session aims also to get comments, inputs, from the audience in shaping the Future Media Internet in its visionary, innovative, challenging and ambitious services offering, particularly from the vertical sectors (health, transport, energy, …), including the creative industries. This session will be an opportunity to present the current NEM vision where Immersive communication and interactive content will enable natural experiences and natural interactions with remote people very similar as real-time face-to-face experiences and interactions. This session is also an great opportunity for the NEM Portugal and its content & creative industry communities to increase its awareness towards the European ICT stakeholders. The format will be a mix of short presentations of the Immersive & Content interactive PPP, its impact and challenges, and iterative sessions with the participants . We will use several participating techniques to capture feedback from the participants including #NEM_ETP tweets as well as post-its distributed to the participants and posted on paperboards dispatched in the room. It will complement a online ‘community consultation’ conducted before and after the event on the NEM web platform. Expected outcomes are awareness of a larger community on the Immersive & Interactive Content Public Private Partnership, are inputs from the participants to the current PPP topic and ways to achieve the PPP objective.